We have been the leading provider of fine leather bookbinding service in the Los Angeles area since 1967. We are specialists in all types of bookbinding services especially in leather. We keep many hard to find domestic and imported types of leathers in stock. We can custom emboss or gold hotstamp on leather including your custom logos. Please contact us and let us give you a free quotation. We are experts in leather bookbinding of movie scripts, clamshell boxes, thesis, corporate books, closing documents, legal documents, custom wedding albums, retirement scrapbooks and bibles. 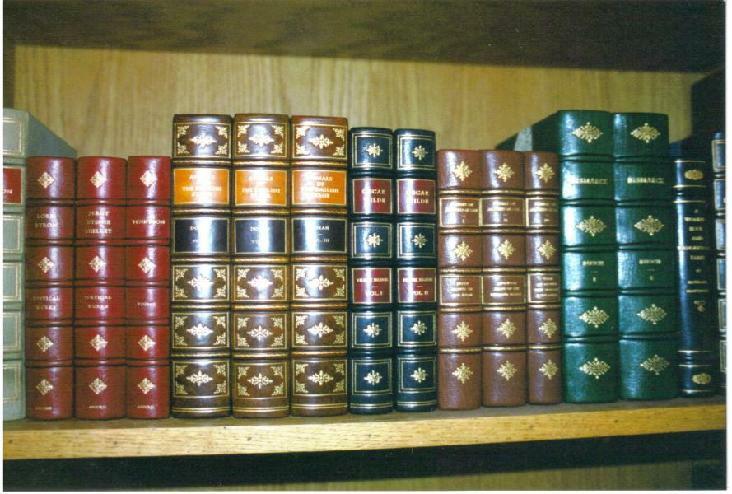 Below are some examples of leather hand bound books.